We feel proud to introduce ourselves as the leading organization in this domain, engaged in presenting an excellent grade of Flasks – Iodine. The provided flasks are manufactured using premium quality material and latest techniques. Additionally, our provided flasks are processed adhering to industry standards and quality norms. 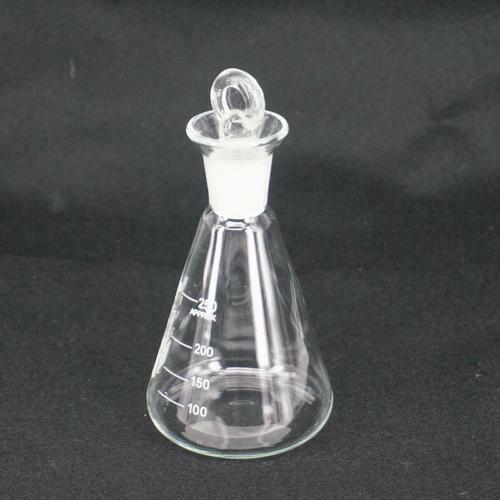 The offered flasks are examined on set quality parameter in order to deliver better range to the clients. In addition, flasks offered by us have gained highly appreciation among our clients. Besides, clients can avail the flasks from us at cost effective rates. With our industry experience from 2003, we, Esel International known for Manufacturer and Exporter, we have been able to offer precision engineered range of scientific physics lab wares, scientific chemistry lab wares and scientific biology lab wares, such as Magnetic Instruments, Rheostats, Physics Instruments, Light and Optics, Laboratory Meters, Stand and Clamps, Laboratory Oven, Anatomical Models, Binocular Microscope, Breadboard Kits, Educational Electronic Instruments. All our equipment and instruments undergo extensive testing on various quality parameters such as durability, conductivity and heat resistant to ensure that our range stands on high quality in the global platform. Our wide range have been developed in compliance to the diverse needs of various laboratories and research centers across the globe and have been well responded by our clients based in India UK, USA, Iran, Egypt, Uganda, Middle East, South Africa, Malaysia, Singapore and Philippines. This has been possible solely because of our modern production facilities, engineering excellence and dedicated approach of our team.